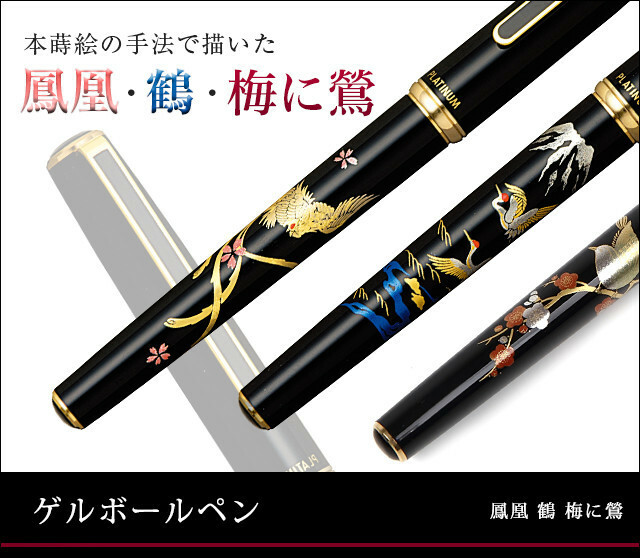 This Maki-e Gel ballpoint pen features the Japanese bush warbler on the apricot tree (ume in Japanese), using the traditional Maki-e technique. In Japan, the elegant chirping of bush warblers, especially around the time the apricot comes to bloom in February, has been cherished as a harbinger of spring. Maki-e is a traditional Japanese technique of decorating lacquerware by sprinkling gold (or silver) dust particles over wet lacquer designs.